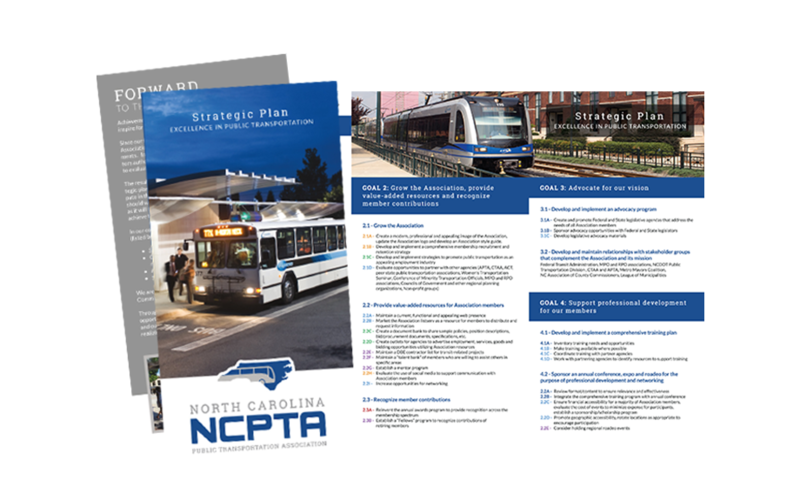 The North Carolina Public Transportation Association (NCPTA) was ready for an updated look. NCPTA leadership asked our brand design team to develop a concept that would reflect the North Carolina state-wide region and would be easily recognized in the transportation field. Ultimately the design that was developed is a clear visual that communicates public transportation to the individual citizen and the state-wide reach of the organization. The new branding look was well received and is being applied across the association’s marketing and assets. One of the first wide-use applications of the new image was the organization’s strategic plan publication. An over-sized tri-fold was created to visually present the goals defined in recent strategic planning sessions. 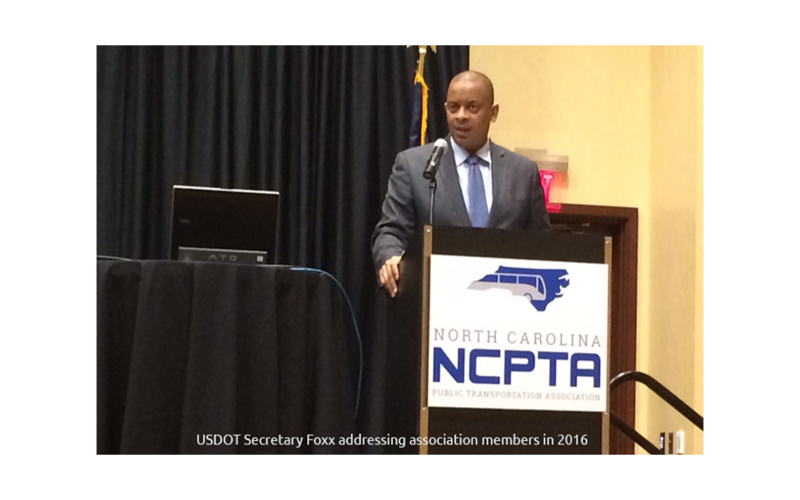 Pictured here: USDOT Secretary Foxx addressing members of the association from a podium bearing the new NCPTA logo.